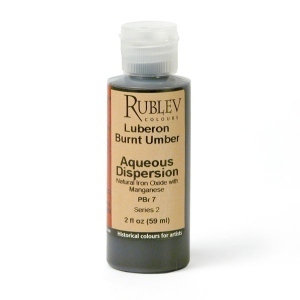 Details Our Luberon Burnt Umber is a calcined natural mineral that is a dark reddish brown mineral pigment with a yellowish to greenish undertone for use in all mediums. The pigment is obtained from natural earths colored by the oxides of iron and manganese from the last remaining European company operating the ochre deposits in the French quarries of Gargas and Rustrel nestled in a 12 mile long enclave in the heart of the Luberon Massif of southern France. 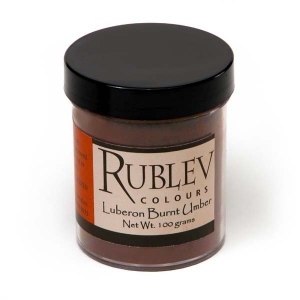 Our burnt umber from the Luberon mountains of France is finely ground and exhibits a reddish brown masstone with greenish undertones. 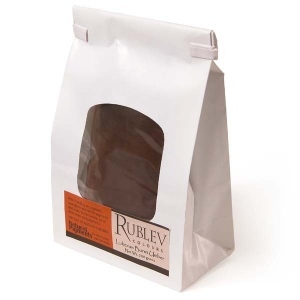 It has excellent tinting strength and good covering power.